Emergency preparedness materials on the importance of emergency preparedness, before, during and after a disaster. Including information on families, pets, seniors, individuals with disabilities, and businesses. This form is used to document computers and their specifications used in daily business operations. The Plan will be distributed to members of the business continuity team and management. A master copy of the document should be maintained by the business continuity team leader. Provide print copies of this plan within the room designated as the emergency operations center (EOC). Multiple copies should be stored within the EOC to ensure that team members can quickly review roles, responsibilities, tasks, and reference information when the team is activated. This document will give you an idea of what it may cost to develop a disaster protection and business continuity plan. Some of what is recommended can be done at little or no cost. Use this list to get started and then consider what else can be done to protect your people and prepare your business. 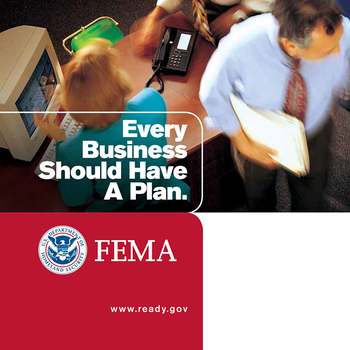 Working with Small Businesses to Prepare for Emergencies. Business Disaster Case Study by financial services company Morgan Stanley, dealing with both the 1993 and 2001 World Trade Center terrorist attacks. Use the following table to identify members of your program committee and compile their contact information. Use the list to prepare a distribution list for communicating with committee members and distribution of program documentation. Equity Technologies of Mobile Alabama discuss steps taken to prepare for disasters.